Administered by the Hawaii Community Foundation (HCF) and Pauahi Foundation, the THINK Fund launched in October 2014. The result has been the awarding of grants and scholarships to Hawaii Island schools and non-profit organizations that thrive in those critical areas of science, technology, engineering and math. The THINK Fund – short for The Hawaii Island New Knowledge – is making a big difference in the lives of Hawaii Island students and teachers through scholarships, classroom projects, an endowment and grants. With the latest payment, TMT has distributed $3.5 million: $2.5 million to THINK at HCF and $1 million to the Pauahi Foundation. Nearly 10 years ago, the Thirty Meter Telescope (TMT) tasked a group of Hawaii Island leaders to determine how best to use $1 million a year for STEM education. After meeting for two years, the group fleshed out what is now the THINK Fund and enlisted the Hawaii Community Foundation and the Pauahi Foundation to finalize the fund’s details. 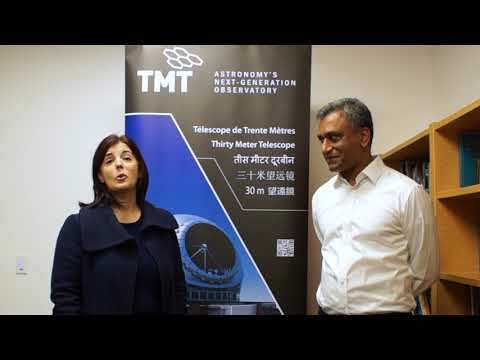 The Thirty Meter Telescope's $1 million annual contribution is distributed through the THINK Fund at Hawaii Community Foundation ($750,000) for grants, scholarships and endowment and the THINK Fund at Pauahi Foundation ($250,000) for scholarships.